Now in HeroSmash! 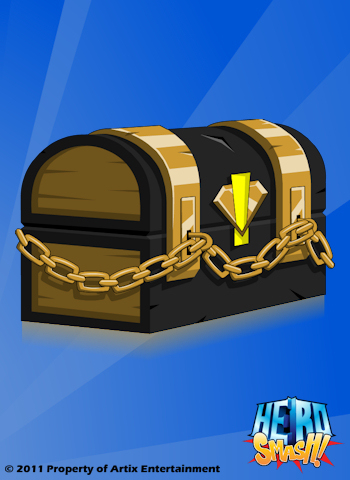 Go scavenging for treasure! Golden Claw in the "Ruins" has found a treasure chest full of exquisite, but damaged, treasure. If you help Golden Claw repair the treasure, he'll gladly share it with you! You will have to search all over HeroSmash to find what creatures and monsters has the items you need. St. Patrick' Day is gone for another year, hope you all enjoyed. 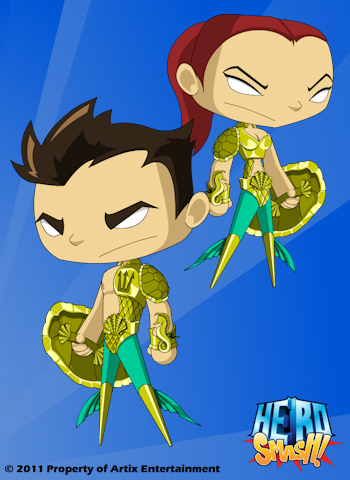 New armor with clickable arms has been added to Treasure Shop (visit Golden Claw) and a Rare Trident (Leaving next Friday). No difference in Member or SC versions just different pricing options. In the upcoming updates we will be adding to the Player Suggestions Shop. Please note to post suggestions on AE Forums not Twitter. Twitter can be use for fanart and game related questions.